Smart technology has worked its way into so many aspects of our lives, and now it’s in my vanity! I want to tell you about an exciting and innovative (and upgraded!) device that I’ve been using recently as part of my routine. I think it will also make a very unique gift idea for the beauty obsessed babe in your life as well, so if you’re starting to think ahead to the holidays, take note! The HiMirror Plus is the world’s first smart mirror. 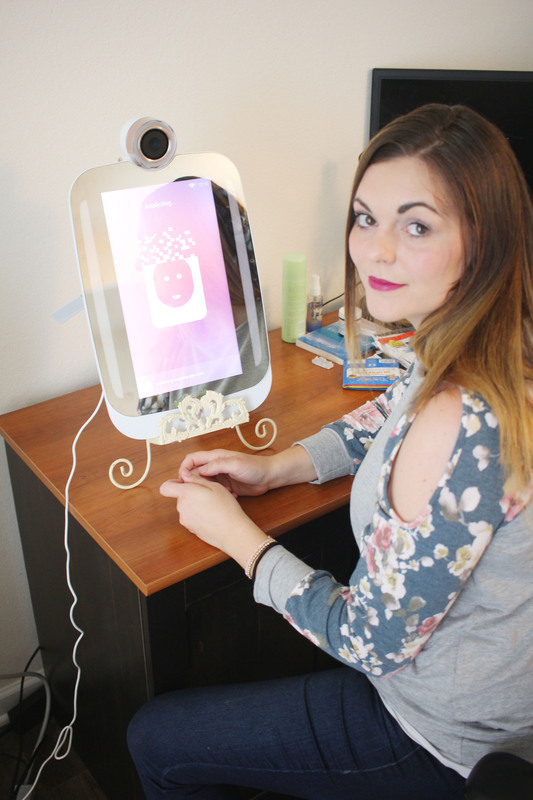 It can help you analyze your skin, track your skin care in terms of effectiveness, and much more. I can even check the weather or the latest happenings in the news on my HiMirror Plus! 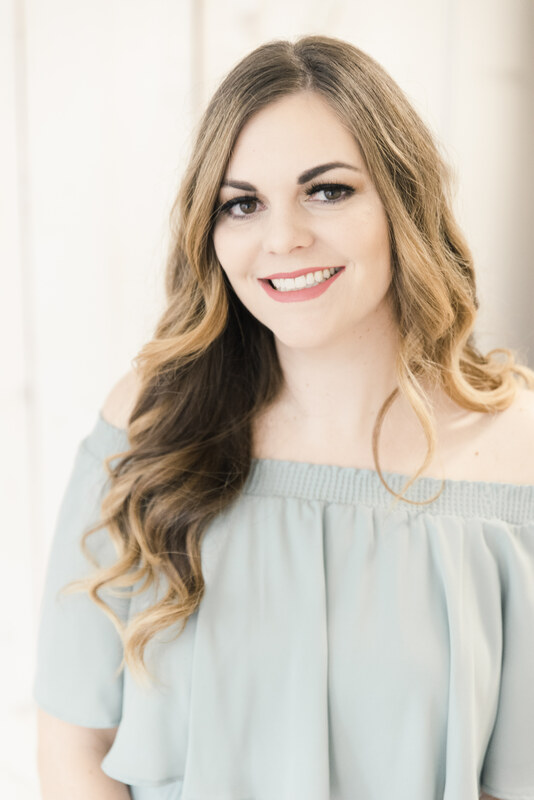 Where my skin is concerned, I can assess my skin’s condition including wrinkles, fine lines, complexion, dark circles, dark spots, red spots, and pores so I can take action to improve my skin’s look, feel, and healthiness. It’s basically an at-home beauty consultant! That look of complete shock happened when I saw my score for dark circles in the 70s! I’m dealing with major dryness under my eyes right now and the HiMirrorPlus knew! Installation was very simple! It comes with very easy to follow mounting instructions for mounting on a bathroom mirror, which I did initially. You could mount it on the wall too, or even buy a stand for it so you can move it around more easily depending on your needs. Once I had the mirror where I wanted it, I just had to plug it in, and go through the activation which involved using a Wifi connection and an app on my iPhone. Easy peasy lemon squeezy. The learning curve for me happened with the hand gestures associated with moving from one screen to the next. It’s not difficult but it took me a minute to get used to where to place my hand and how to swipe back and forth. The screen is not a touch screen, so you need to use your hands to get from point A to point B. I also mounted it a little higher than I should have on my mirror, making it difficult to see myself properly unless I was on tip toes! My personal preference is to use it with a stand. My favorite features? I have two favorite things about this gadget. One, I love that you are able to see yourself in the HiMirror Plus in five different LED ambient lighting scenarios: sunset, restaurant, shopping mall, brightly lit office, and outdoor/sunny days. I have had so many times I thought I looked great but in different lighting, I have a makeup line or my lipstick looks off. It’s neat that I don’t have to see a bad picture of myself to know I need to tweak something! And two, I love that I can track how well my skincare is working. The HiMirror Plus tracks seven problem areas including winkles, fine lines, dark circles, dark spots, red spots, roughness, and pores. The results are broken into ratings of 0-100 in each category and you are able to see the percentage of change from the last skin assessment. To me, isn’t this the whole point of beauty blogging? Testing out products so I can tell what’s working and what isn’t? My inner beauty nerd is obsessed with this feature! The HiSkin is also a neat gadget. 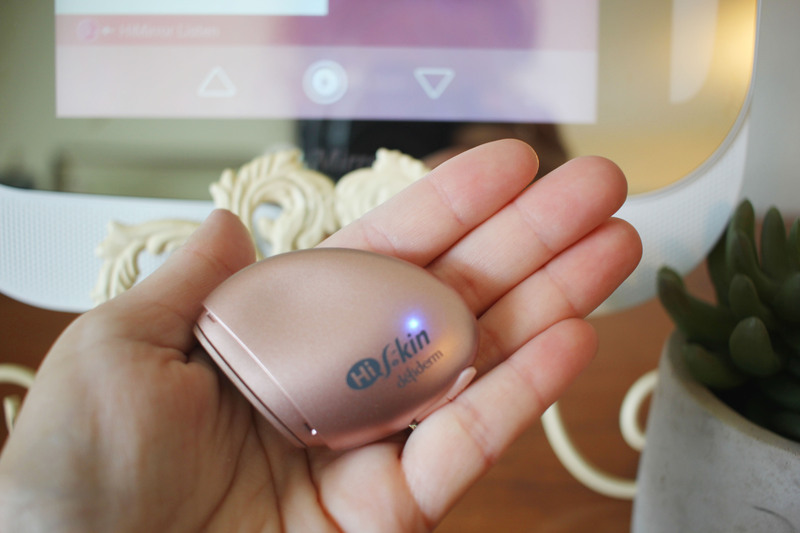 It’s a small skin analyzer that detects your melanin and hydration levels in different areas of your face. Based on the results, it can recommend changes to make with your skincare routine. This is so useful for me because my skin has been really haywire lately. I have been suffering from serious dryness and eczema under my eyes and I knew it was bad but between the HiMirror Plus and the HiSkin I learned that I am really needing to make some changes to my skincare routine in some areas. Luckily, I know I’ll be able to track the progress I am making using this tool! 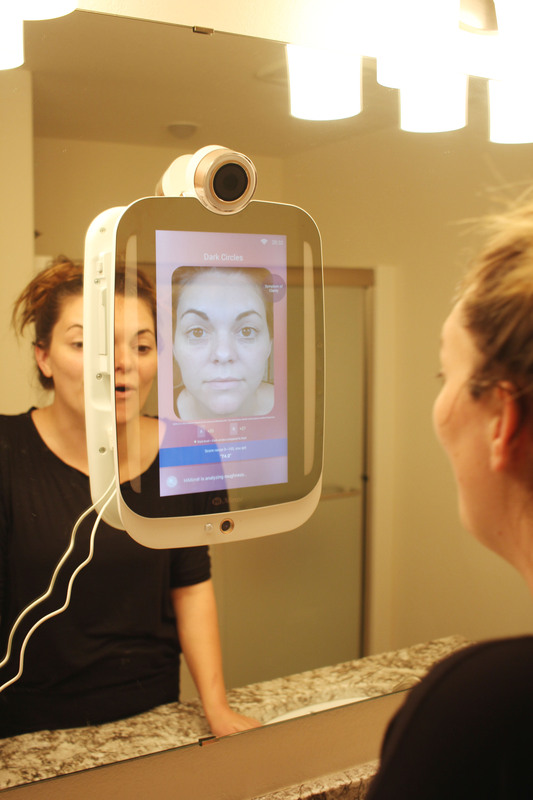 The next thing I need to do with my HiMirror Plus is upload all of my skincare products into it, so it can tell me what I should be using based upon how my skin is doing. What a great feature! 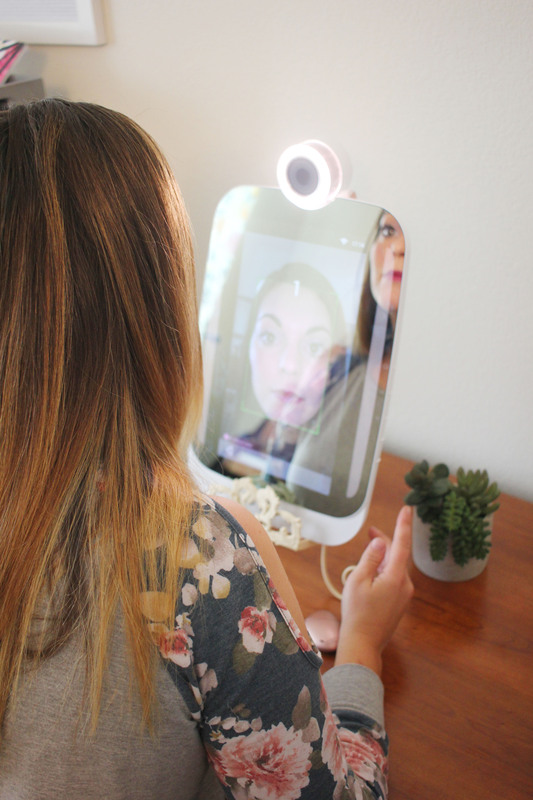 The HiMirror Plus is such a cool gadget and I love adding it to my beauty routine! Is this something you would use? Do you know someone who would love this? Want to read more reviews? 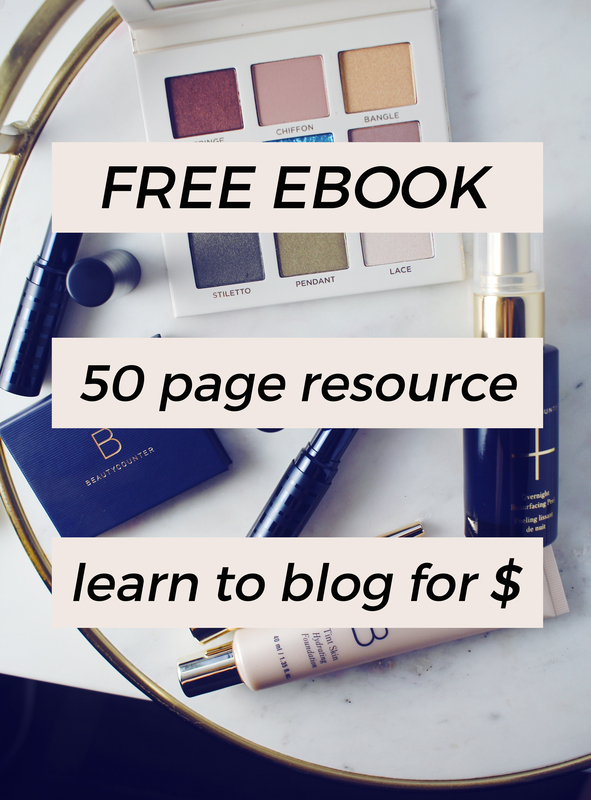 Check out what other bloggers have to say!
? ?This is a little to high tec for me. At almost 70 years old I can hardly figure out my cell phone ? LOL! 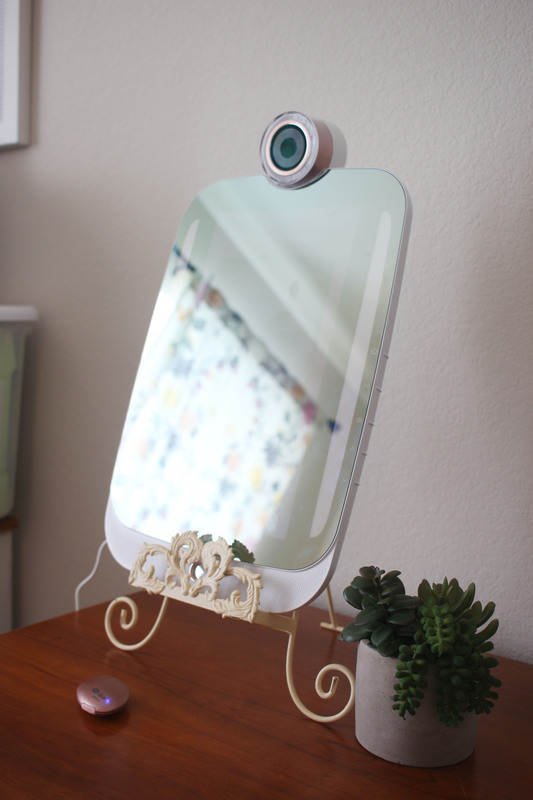 Think I will keep my regular make-up mirror from Target easy & simple! How I like it!!! ?? I really want one of these it would really be so useful. After you told us all the features I honestly don’t know what I like best! The skin care itself sounds like an awesome way to help trouble spots. But, the different lighting setting is really exciting because I have done the same as you and looked good in my makeup light and then went somewhere and my makeup looked terrible. Thanks for sharing!! HiMirror Plus is really awesome. Though the price might be expensive the quality is impressive and really worth a try. I have to include this in my skincare routine too. Can’t wait. I have to visit a friend and recommend this product. We’ll both see, how this thing goes with our beauty arsenal.